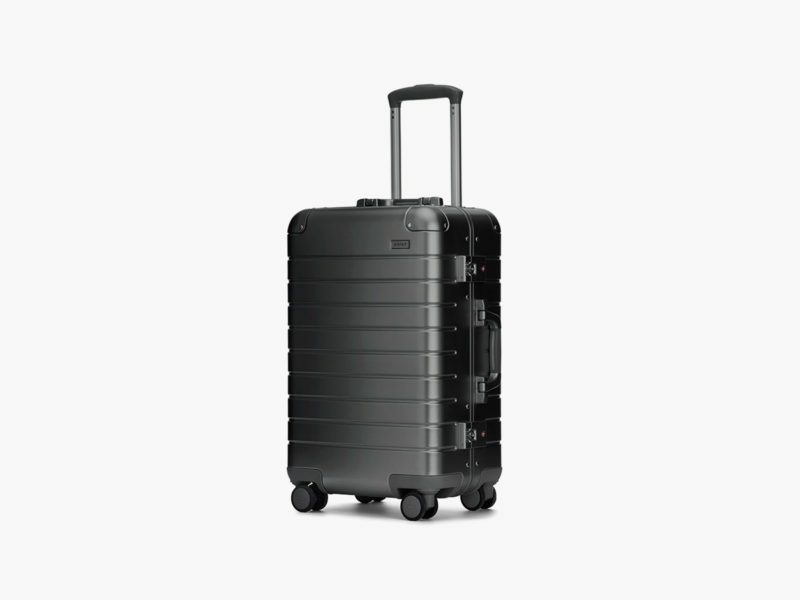 A lightweight, rugged, and visually striking aluminum luggage collection at a reasonable price. 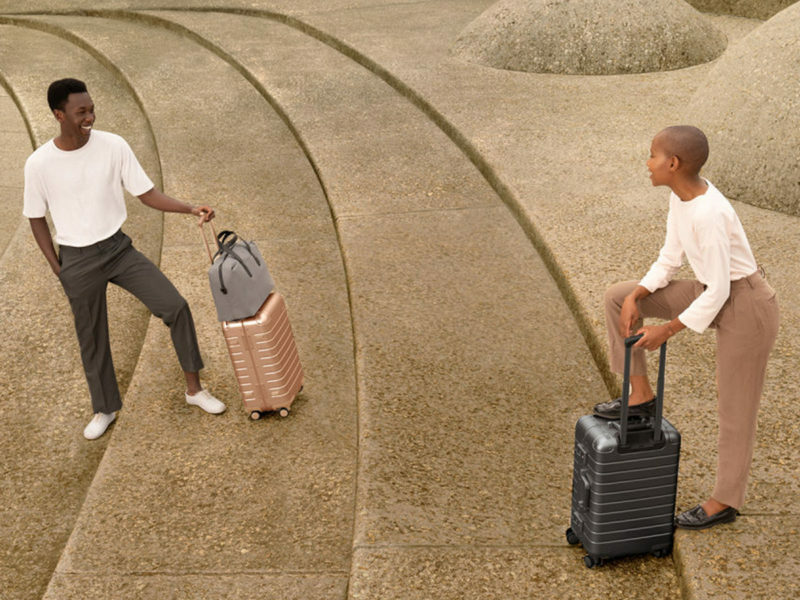 Let’s face it, we’d all like to travel with Rimowa and Louis Vuitton luggage. But being able to afford them is one thing, actually using them is another; in all honesty, we’d be scared to part with them at check-in. Just imagine them being thrown around and getting scratched, not to mention getting lost somewhere! 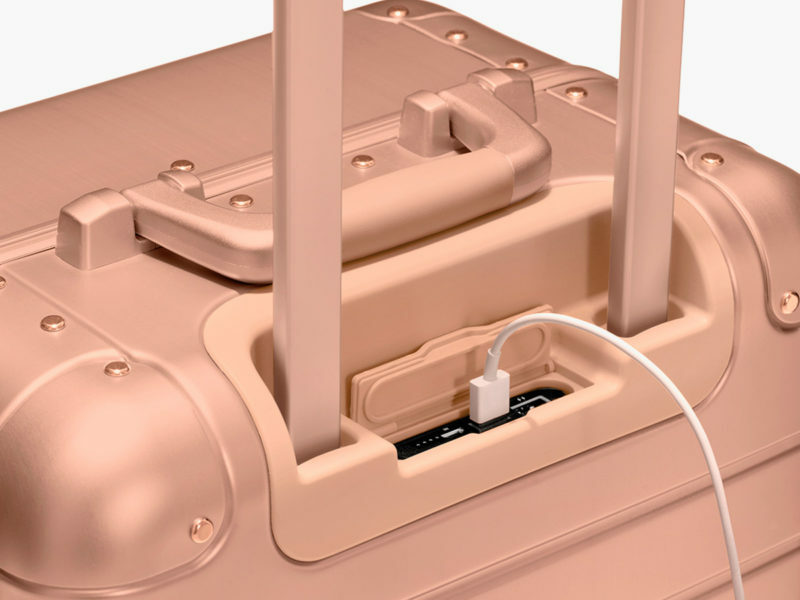 Well, there’s a slightly more affordable yet equally as stylish option. 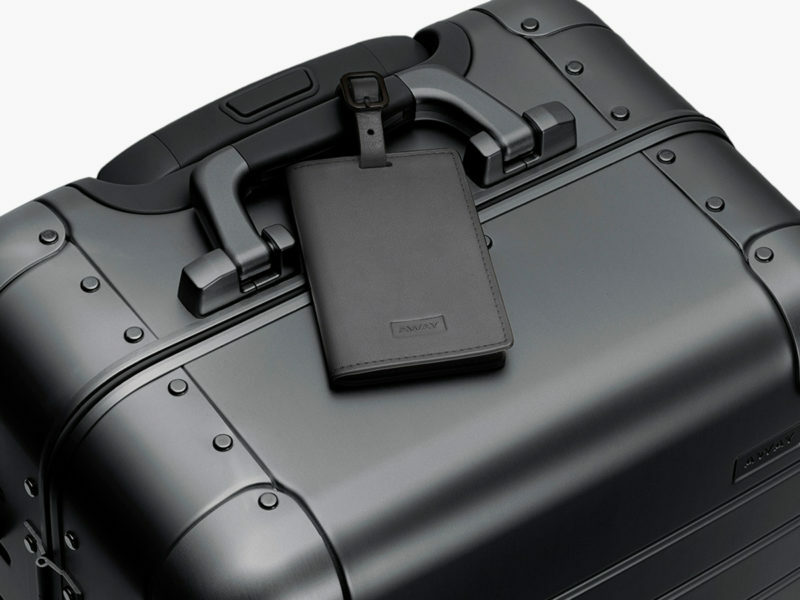 For a fairly reasonable price point and some truly striking designs, we turn to Away. 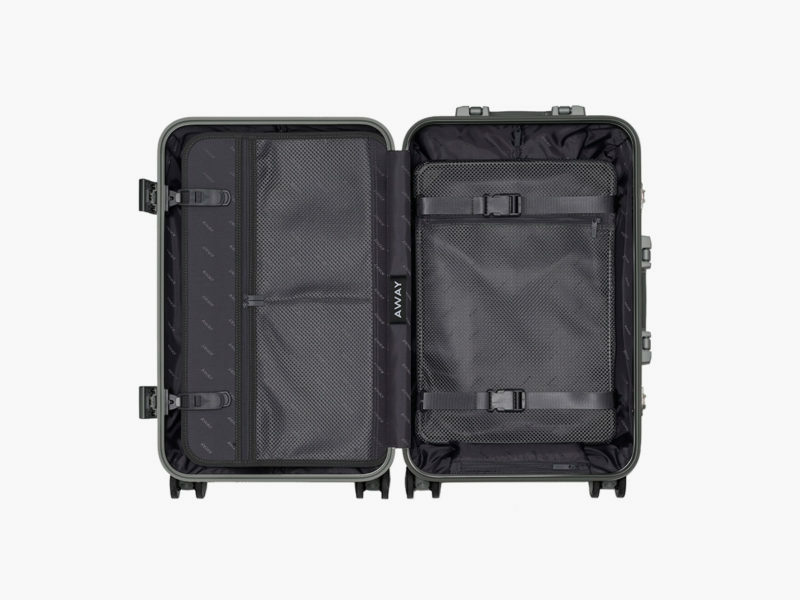 Its latest offerings in the Alchemy Collection are made from lightweight but rugged anodized aluminum. 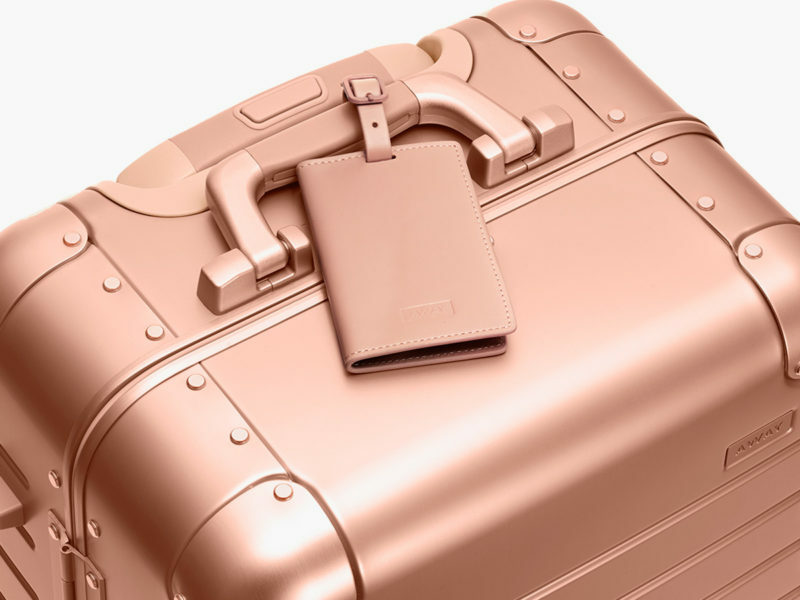 This collection includes both handy carry-ons and spacious check-in suitcases. 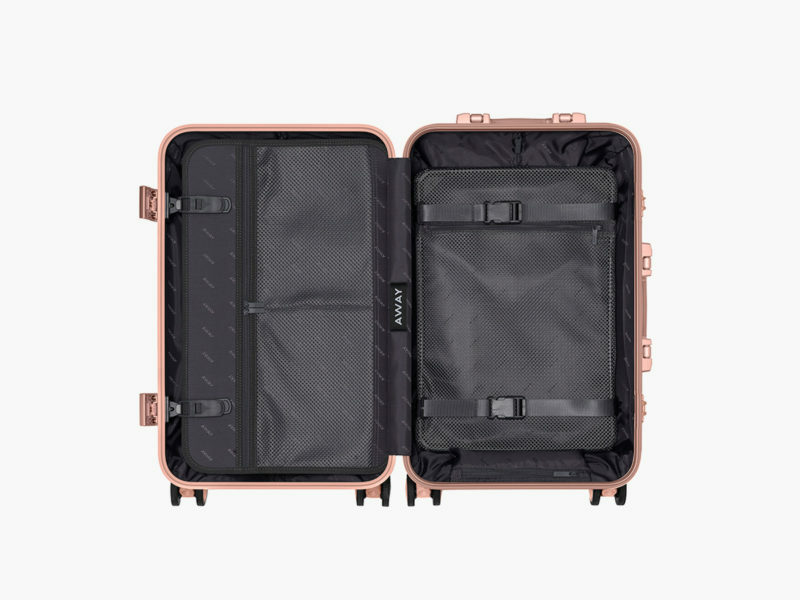 But thanks to their slightly larger size and state-of-the-art compression systems, even the more diminutive suitcases offer a surprising packing capacity. 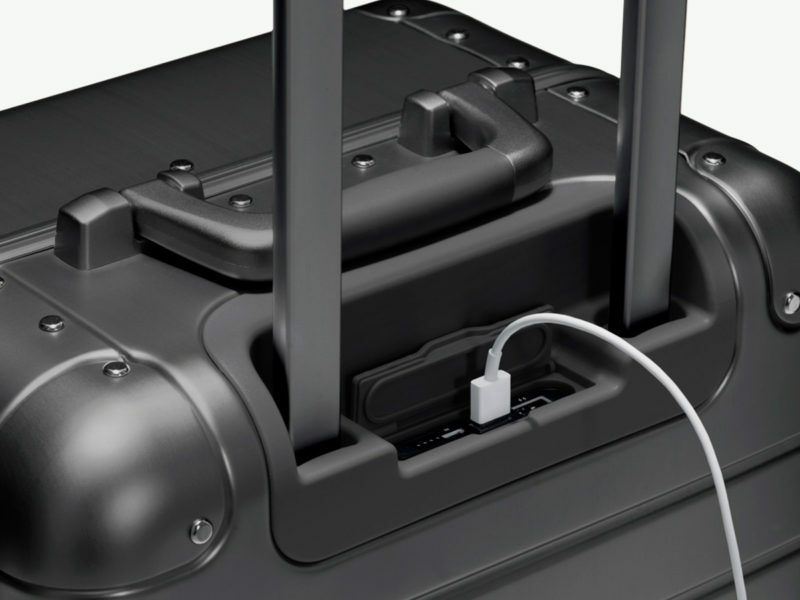 For added convenience, the bags also features a USB charging port powered by an easily ejectable battery in the handle. But the first thing you’ll notice about the limited colorways of the Away Alchemy Collection is how great they look. 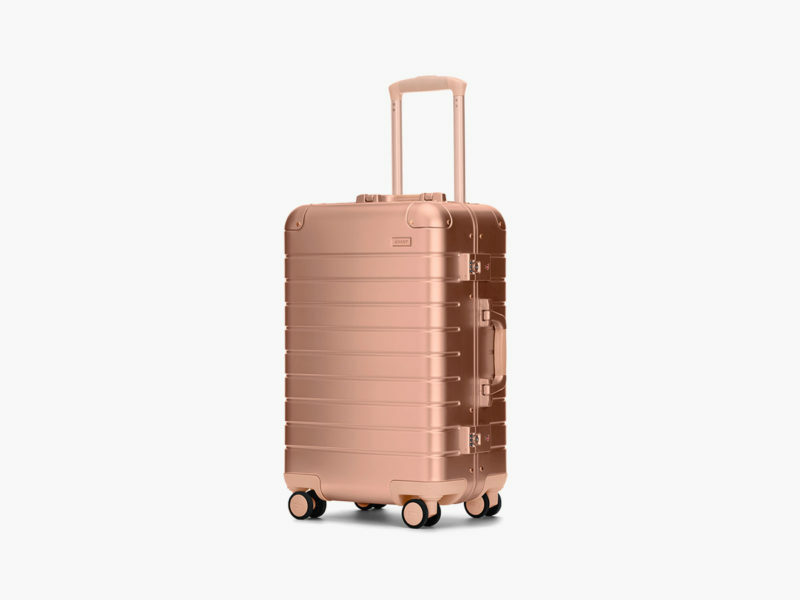 Whether you choose steel or rose gold monochromatic finish, you’ll get a suitcase that will turn heads in any airport.